Whenever moving to the city, it’s rare to come across large houses or accommodation where garden space is large. Places of residence may include apartments with balconies, small courtyards for townhouses or properties for rent. Therefore you need to make the most of design options available with small space gardens. Here we take a look at space saving solutions to help utilise ways of creating a bigger space that you may not have thought was there in the first place. Stack, stack and stack some more. If you don’t have enough space going across, why not make the most of the space going up? Taking up little room on the floor, being able to layer particular items on top of each other means you can maximise the space above. For example, this is great for doing with plants. You could use containers which can be easily piled on top of one another at different points. This way there’s still space for plants to grow without getting squashed. You can also use the wall space on your fence or shed. There are attachable storage pockets that can be bought to hang on the walls where you’re able to grow fruit and veg inside. It’s rather efficient in remaining compact and not taking up the whole vertical space, but still looking like a pleasant feature for your outdoor space. 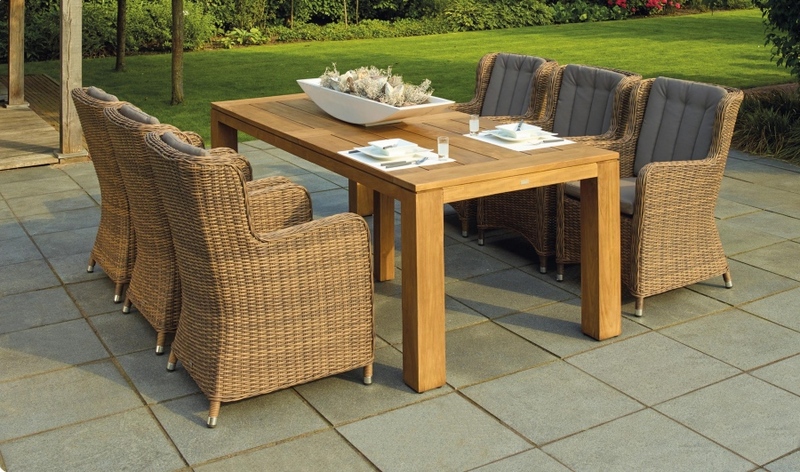 Being able to build in furniture means you can modify what you have rather than add to it in your garden space. A really good benefit of building in furniture is that you can integrate storage into your existing structure so that less floor space is taken up by stuff that wouldn’t be needed. If you have any block structures that are wide and thick, why not turn it into a bench that’s complemented with pillows and chairs. Then you have some extra seating for them rooftop barbecues and late-night get-togethers relaxing on cane chairs. It’s known that in interior design, painting walls a bright colour gives a sense of space and cleanliness. Do the same for your outdoors too. White paint reflects light easily and brightens the space you have. If you have any brickwork on display or enough space for furniture, choose white for extra brightness. For those summer days it can be really effective too, giving a sense of style in the process. If you don’t have enough space as it is, the last thing you want to do is clutter it even more. Sometimes, simple is best. Try to limit the number of plants you grow and try to keep features and materials to a minimal. If you have the opportunity, deck your floors with wood for a clean surface and have your plants climbing the wall rather than taking up the floor space. Top it off with some cane furniture to complement the wooden floor, especially if you have a conservatory or balcony space.